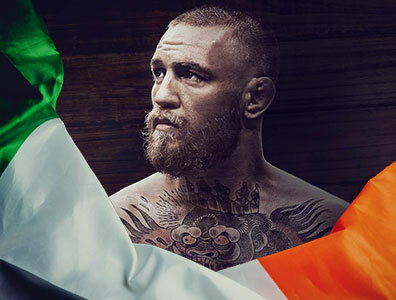 Early morning on Tuesday March 26th, 2019 Conor McGregor aka “The Notorious” or “Mystic Mac” tweeted to announce that he is retiring from his MMA (Mixed Martial Arts) career. I assume that he will not box again professionally as he has only participated in one professional boxing match against Floyd Mayweather Jr. in August 2017. After Conor retired the first time in 2016 he returned to fight 4 times. Three were MMA fights in the Octagon of the UFC, and the other fight was the above-mentioned record-breaking boxing match against Mayweather Jr. in Las Vegas, Nevada back in 2017. McGregor began his professional Mixed Martial Arts career began back in March of 2008 when he fought in the lightweight division of the UFC against Gary Morris. The Notorious defeated Morris by TKO (punches) in the second round. Conor’s second fight consisted of him beating Mo Taylor once again by TKO (punches). McGregor made his featherweight debut in which he lost due to submission versus Artemij Sitenkov. Prior to joining the UFC, he lost only one more time against Joseph Duffy, but he won the rest of his fights making him 12-2 overall mostly fighting in Cage Warriors, which is an MMA promotion based out of the United Kingdom. 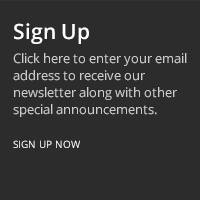 Highlights included him winning the Cage Warriors lightweight championship versus Ivan Buchinger, and the Cage Warriors featherweight championship against his opponent, Dave Hill. Both of those fights took place in 2012. Conor McGregor made his UFC debut on April 6th, 2013 in UFC on Fuel TV: Mousasi vs. Latifi. McGregor fought Marcus Brimage in a featherweight match located in Stockholm, Sweden, and he won the fight in the first round via TKO (punches). He then went on to win his next four fights against Max Holloway, Diego Brandao, Dustin Poirier, and Dennis Siver. Those contests led up to him fighting Chad Mendes for the interim UFC featherweight championship. McGregor won the fight in the second round by TKO (punches). He then beat Jose Aldo on a knock out punch in which he won and unified the UFC featherweight championship. He then fought Nate Diaz in the welterweight division and lost via submission in a rear naked choke resulting in McGregor retiring. He came out of retirement to rematch Diaz a few months later and this time Conor won by decision (majority). He then went on to fight Eddie Alvarez in November of 2016 and won by TKO (punches). 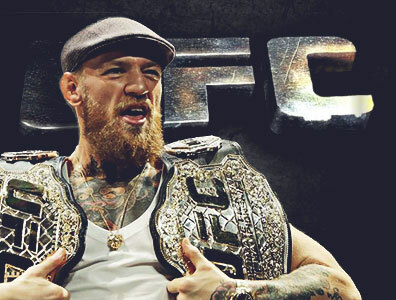 This win made Conor the UFC lightweight champion of the world. He was later stripped of that title due to inactivity. The last time Conor McGregor fought professionally in the Octagon he matched up against Khabib Nurmagomedov for the UFC lightweight championship. Khabib was known for his outstanding ground game, and he used wrestling holds to make his opponents tap out or submit. Conor doesn’t excel going to ground and he prefers to use his boxing talents to knock out his opponents. This is why so many people enjoy watching his battles in the cage. The fight went 4 rounds until Khabib got McGregor to tap out after being put into a strong neck crank by Nurmagomedov. Once the fight had officially ended it wasn’t actually done as this UFC 229 had quite the conclusion. Khabib’s cousin, Abubakar Nurmagomedov, and a couple of his cornermen, Esed Emiragaev and Zubaira Tukhugov started a scuffle with Conor McGregor where punches were exchanged. The melee was believed to be inspired by something McGregor said about their nationality and or religion. The Nevada State Athletic Commission withheld Nurmagomedov’s payment for the fight which was $2 million. After an investigation the released half of the purse to Khabib. McGregor was fined $50,000 and suspended for 6 months. 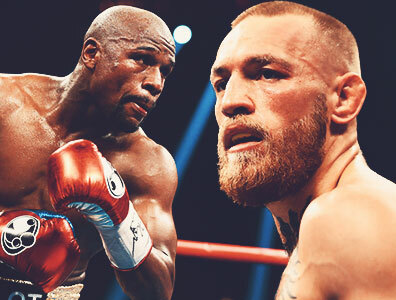 On the 26th of August 2017 Conor McGregor boxed Floyd Mayweather Jr. in Paradise, Nevada. Mayweather Jr. won the fight by TKO in the 10th round of 12 rounds when the fight was stopped by the referee. McGregor was praised for lasting that long and landing 111 of 430 punches thrown (26%). Mayweather made $100 million and Conor made $30 million for the boxing match. It was announced that the fight recorded the 2nd highest buy rate in the United States and Canada at 4.3 million pay-per-view buys. After that fight Floyd Mayweather Jr. retired with a perfect record of 50-0 which is a professional boxing record. That was the only time Conor McGregor boxed professionally as of now. In September of 2018 Conor McGregor launched Proper No. 12 Irish Whiskey which has become extremely successful. It is being sold in the United States of America and Ireland. It is so popular in Ireland that customers of Tesco stores are limited to buying only 2 bottles per visit. McGregor is planning on expanding the reach of his whiskey to the UK, Australia, New Zealand, Russia, and Canada in 2019. UFC president Dana White told ESPN that McGregor's retirement "totally makes sense." White also said he believes the announcement is legitimate.